It is essential to kill bacteria and keep your tub safe to use. Dangerous bacteria (such as pseudomonas or legionella) can readily grow in warm water and in the biofilm that attaches itself to all hot tub pipework and filters. The first rule of good hot tub hygene is to regularly use a quality biofilm remover to get rid of the food on which bacteria thrive. A biofilm remover, or plumbing cleaner, will remove biofilm from the pipework and equipment that you can't clean in any other way. 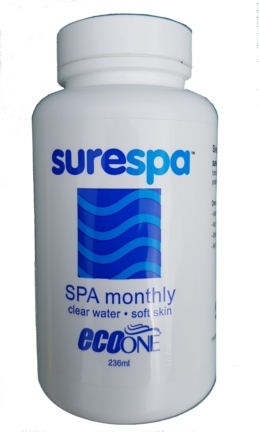 Thereafter, the amount of chemical you need to keep your hot tub safe can be dramatically reduced by using a natural enzyme system, such as eco3spa or ecoONE. These products remove the need for high doses of harsh chemicals by removing the organic bacterial food sources that enter the water from our bodies. Finally, it is important to use a filter cleaner to remove biofilm, scale and lurking bacteria from the filters before replacing them in the tub. A quick rinse, or even a jet wash just doesn't do the job. If you are concerned about your health and the environment there is no need to use chlorine. There are many other options to choose from, differentiated by price; ease of use; kindness to the skin and environmental impact. Compare the options below and click on the boxes to find out more. Confused about hot tub chemicals? 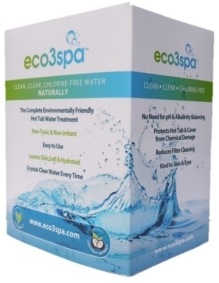 eco3spa is the new chlorine-free, environmentally friendly hot tub water solution. New for 2019! 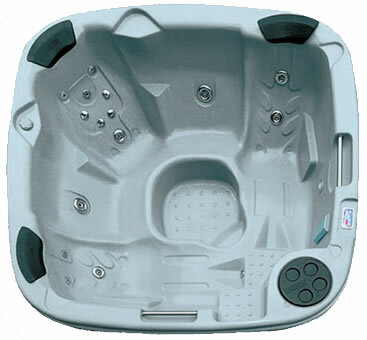 This is the market leader in safe, chlorine-free hot tub water treatment.